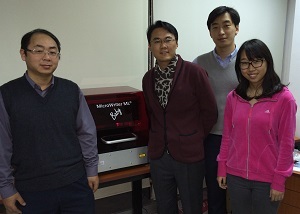 A MicroWriter ML Baby has been installed in Beijing. This is the first of our low-cost desktop optical lithography machines in China and is located in the demonstration centre of Quantum Design China in Beijing. If you are interested in seeing a demonstration please contact Ray Chen (ray@qd-china.com).